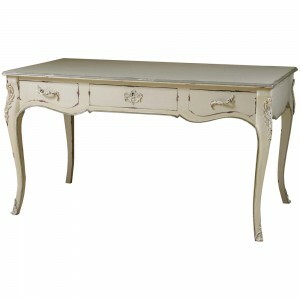 The Helene French Style Ladies Writing Desk is practical yet stunning. This desk features 5 drawers, and simplistic curved legs. 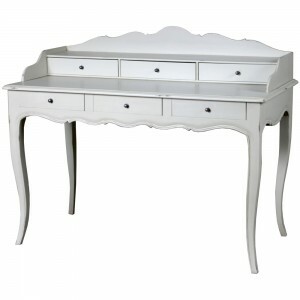 It could also be used as a dressing table, this will be a piece that you will treasure for a very long time. Antique style with a warm, appealing look; this collection is ideal to blend a classic ambience with the compact format of modern homes.